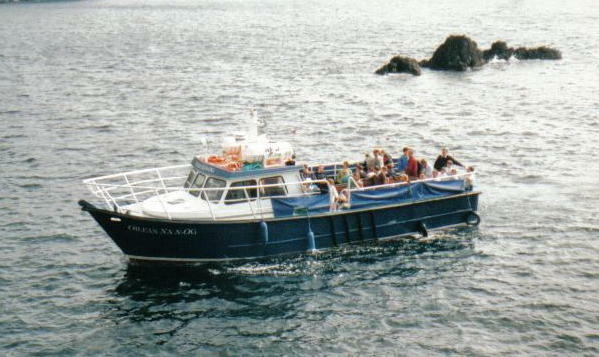 A visit to Dún Chaoin should always include a boat trip to the Blasket island. Ferries run from April to October from Dún Chaoin Pier, weather permitting. You can explore the old deserted Island village where Peig Sayers, Tomás Criomhthainn and other writers lived or enjoy a hike around the island. 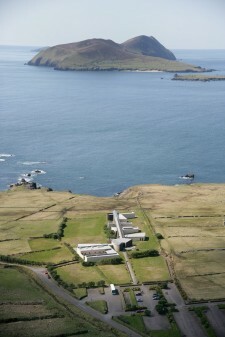 The Great Blasket Centre, 5km off the coast of Dún Chaoin, was built in 1993 in honour of the extraordinary literary and linguistic of the Blasket people. Records show that communities lived continually on the island for at least three hundred prior to its final abandonment in 1953. As a result of its isolation the islanders upheld many of the old traditions and especially the Irish Language, which is at the heart of Irish culture and tradition. The story of the islanders and their literary endeavours is poignantly portrayed in the Blasket Centre. Ceiliúradh an Bhlascaoid is an annual festival. Catholic mass is celebrated in Dún Chaoin Church at 7.30am on Saturday evenings and in Baile an Fheirtéaraigh (8km) at 10.00am, and Séipéal na Carraige (15km) at 11.15am on Sunday mornings. Details of other mass times are available here. Church of Ireland (Anglican Communion) Service is held in St. James Church, Main Street, Dingle (16km) at 12pm on Sundays. Further details of religious services on the Dingle Peninsula are available at this link.